Giovanni Morelli (25 February 1816, Verona – 28 February 1891, Milan) was an Italian art critic and political figure. 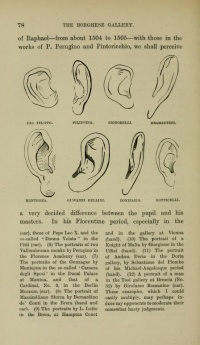 As an art historian, he developed the "Morellian" technique of scholarship, identifying the characteristic "hands" (style) of painters through scrutiny of diagnostic minor details that revealed artists' scarcely conscious shorthand and conventions for portraying, for example, ears. The "Morellian method" was made public in his book Italian Painters; it appeared under the pseudonym "Ivan Lermolieff". Morelli's books look different from those of any other writer on art. They are sprinkled with illustrations of fingers and ears, careful records of the characteristic trifles by which an artist gives himself away, as a criminal might be spotted by a fingerprint ... any art gallery studied by Morelli begins to resemble a rogues' gallery"
Morelli came to international attention in Carlo Ginzburg's famous titular essay of Clues, Myths, and the Historical Method in which Ginzburg tries to show that the methods of Morelli, Sherlock Holmes and Sigmund Freud consist of assigning the same great significance to circumstantial evidence gathered from observation, conjecture, deduction and induction. Morelli was trained as a doctor. With his return to Italy he acted as a conduit for intellectual life of the North. The Morellian method is based on clues offered by trifling details rather than identities of composition and subject matter or other broad treatments that are more likely to be seized upon by students, copyists and imitators. Instead, as Carlo Ginzburg analysed the Morellian method, the art historian operates in the manner of a detective, "each discovering, from clues unnoticed by others, the author in one case of a crime, in the other of a painting". These unconscious traces— in the shorthand for rendering the folds of an ear in secondary figures of a composition, for example— are unlikely to be imitated and, once deciphered, serve as fingerprints do at the scene of the crime. The identity of the artist is expressed most reliably in the details that are least attended to. The Morellian method has its nearest roots in Morelli's own discipline of medicine, with its identification of disease through numerous symptoms, each of which may be apparently trivial in itself. 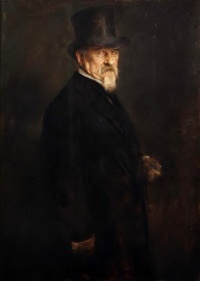 Morelli's connoisseurship was developed to a high degree by Bernard Berenson, who met Morelli in 1890. The first generation of Morellian scholars also included Gustavo Frizzoni, Jean Paul Richter, Adolfo Venturi and Constance Jocelyn Ffoulkes. Morellian scholarship penetrated the English field from 1893, with the translation of his master work. The Morellian technique of connoisseurship was extended to the study of Attic vase-painters by J.D. Beazley and by Michael Roaf to the study of the Persepolis reliefs, with results that further confirmed its validity. Morellian recognition of "handling" in undocumented fifteenth and sixteenth-century sculpture, in the hands of scholars like John Pope-Hennessy, have resulted in a broad corpus of securely attributed work. At the same time, modern examination of Classical Greek sculpture, in the wake of pioneering reassessments by Brunilde Sismondo Ridgway, has also turned away from attributions based on broad aspects of subject and style that are reflected in copies and later Roman classicising pastiche. The complementary field of document-supported art history traces its origins to the somewhat earlier work of Joseph Archer Crowe and Giovanni Battista Cavalcaselle. Morellian method was re-examined by Richard Wollheim, "Giovanni Morelli and the origins of scientific connoisseurship", On Art and the Mind: Essays and Lectures, 1973. Unless indicated otherwise, the text in this article is either based on Wikipedia article "Giovanni Morelli" or another language Wikipedia page thereof used under the terms of the GNU Free Documentation License; or on original research by Jahsonic and friends. See Art and Popular Culture's copyright notice. This page was last modified 19:50, 27 November 2016.